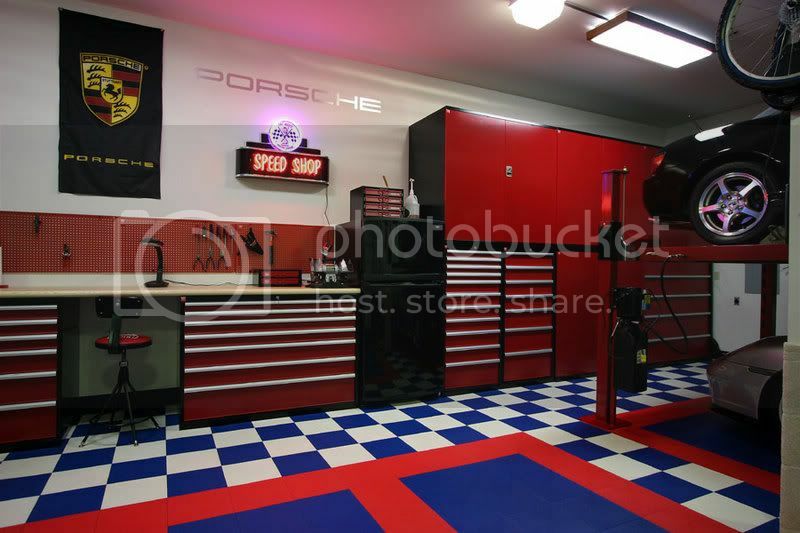 Best garage cabinets or storage systems? Hey guys any idea what's the best garage cabinets? I know there is alot out there but what to know what's the best one for the money. I just cleaned the garage today and took pics. These are the exact same ones I have in my garage. They're great. the best cabinets are lista, no question, however they are overkill even for most commercial applications. see cabinets in virtually all of the racing trailers. sold by griot's garage among others. after some research i found baldhead cabinets, now in bend oregon. they come in just about any color or combination of colors. they can be configured as you like. i'm sure that some of the other cabinets are just fine. thanks for the info! 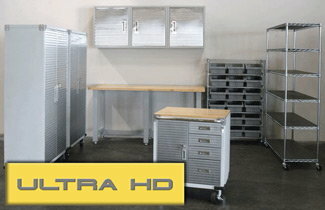 Those baldhead cabinets look good and wow lista is crazy expensive!!!! whoa. keep doing your research to find the cabinets that are right for you, i'm sure you've seen many different ones on this site. I chose Lista through Griot's. Couldn't be happier . note that I have limited space so the cabinets on the right have sliding doors so I can get into them with both cars in the garage. Something to conisder if it applies to you situation. I enjoy working on the cars. Detailing, maintenance, mods. I think I'd go crazy without one. The steel is easily twice as thick as that in the Gladiator cabinets https://mechanicguides.com/best-garage-cabinets/ The stainless steel is a little fussy (fingerprints, dirt, dust, and grease show up easily) and the doors could use a reinforcement piece in the center to stiffen them up, but other than that, I have zero complaints regarding them. My total was less than $2000 and I have 2 of the tall cabinets, 2 of the benches, 4 of the roller carts (2 with full drawers, 2 with doors-stacked and mounted on top), 1 of the rolling bench with drawers, 6 of the wall cabinets, 1 desk (no longer available), 1 midsize roller cart (50% larger than the other roller carts-no longer available) and 3 matching butcher-block pneumatic stools (no longer available). Last edited by Dedisa; 07-27-2018 at 02:38 AM.
" Life member of the Bonneville 200 mph Club"
I have been putting Gladiator Premier cabinets in my workshop garage and am very pleased with them. The cabinets are substantial and look nice. Best part is they go on sale frequently. I cut up the shipping boxes and make liners for the shelves so they don't scratch. I also make pegboard brackets for inside of the hanging cabinets. Small stacking totes are good for interior storage and help you maximize the area. New 6 car garage! Tire machine, lift, balancer, welder? Quick Reply: Best garage cabinets or storage systems?